Emir Kusturica & The No Smoking Orchestra (Zabranjeno Puenje) & Stribor Kusturica & The Poisoners- Discography (1984-2009) | Free eBooks Download - EBOOKEE! 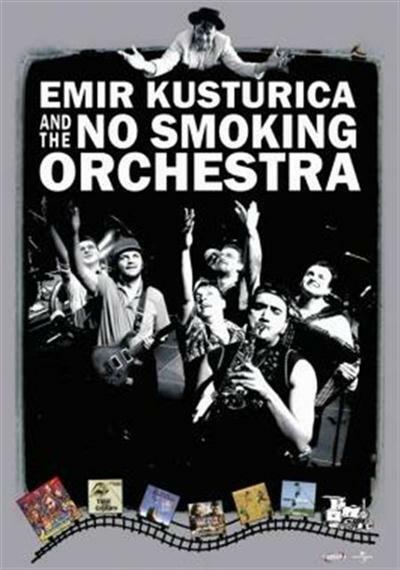 Emir Kusturica & The No Smoking Orchestra (Zabranjeno Puenje) & Stribor Kusturica & The Poisoners- Discography (1984-2009)Zabranjeno PuÅ¡enje (Bosnian for No Smoking) is a Bosnian rock band from Sarajevo. The band was formed in 1981 in Sarajevo by a group of friends who worked on the early radio version of Top Lista Nadrealista (The Surrealist Top List). Contrary to the then-prevalent punk rock and new wave, Zabranjeno PuÅ¡enje created a distinctive garage rock sound with folk influences, often featuring innovative production and complex story-telling, sometimes even dark premonitions of war. They went on to record four albums and tour the country extensively, occasionally sparking controversy and even getting into trouble with authorities for their (usually mild and sympathetic) criticism of the socialist system, and the habit of making light of issues considered sensitive at the time. No comments for "Emir Kusturica & The No Smoking Orchestra (Zabranjeno Puenje) & Stribor Kusturica & The Poisoners- Discography (1984-2009)".